Custom printed eyeliner packaging boxes wholesale comes in a variety of sizes, shapes, and styles. Unique eyeliner packaging enhances the visual appeal of the product and compels buyers to purchase it. Custom eyeliner boxes with logo can serve a lot of purposes including the brand building. It helps you to make your name in the market. A custom printed eyeliner box with relevant information can help you to tell customers who you are, what you do and what you offer. Custom Packaging pro has the finest quality custom eyeliner boxes. You can get high-quality eyeliner boxes in any shape and design. From its shape to the final design, we facilitate you to customize eyeliner boxes as per your needs. We provide custom eyeliner cardboard boxes that are durable to provide the needed protection to the delicate item. Our custom eyeliner boxes are recyclable and reusable which helps to draw in more customers. Eyeliner boxes are also available at wholesale. Cosmetic brands devote a lot of attention towards the quality of the product but completely neglects its packaging. Cosmetic gives the image of beauty and their packaging should also reflect that. Like all the cosmetic products, eyeliners also need special packaging boxes to be packed in. Eyeliners highlights the features of the eyes thus needs the packaging that does the same for it. Custom printed eyeliner packaging boxes wholesale should be unique, appealing and durable. Custom eyeliner boxes wholesale are the complete packaging solution to showcase the product. Using custom eyeliner boxes wholesale can benefit a brand in a number of ways. All you have to do is to take a few things into consideration while designing the box. Here are some important points to note in the designing process of custom eyeliner boxes. It is important to gather all the information before starting to design custom eyeliner boxes wholesale. Clarify a few things like for whom you are designing. What is the definition of your ideal customers?? Are they teenage girls or office going women?? Once you know the answer to the above questions, it is easy for you to take the start. 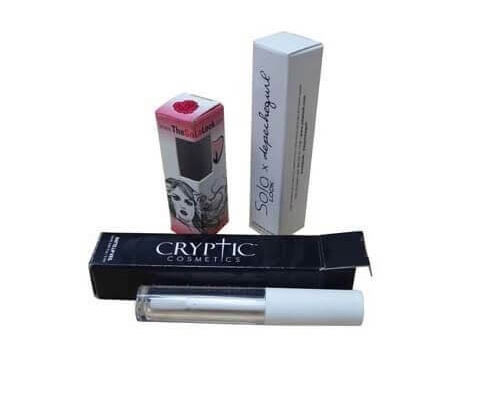 By knowing your audience, you will come to know what they look into a custom eyeliner packaging boxes with logo and what can capture their attention. Another important thing is to consider where your product will be sold. Whether it is an online store or your eyeliner will reside on the shelves of the cosmetic store. Your brand identity is as important as your own identity. What are your branding elements and what you want to portray to your customers? It helps you to decide whether you need a logo, a brand name or both. It helps the customer to identify your brand among the crowd and also increases their loyalty. Gather all the elements which make up your branding. Colors, text, font, images, and advertisement are few things that can help to build your brand personality. Custom eyeshadow boxes wholesale with a unique brand personality will stand out on the shelves. It will help to build a unique brand identity. How Much Does Custom Eyeliner Boxes Wholesale Cost?? Custom eyeliner boxes wholesale are much cheaper and cost-effective when compared with another packaging. First of all, the material (cardboard or Kraft) used in the manufacturing of the boxes is low-priced. Secondly, these boxes have a small size and light in weight. It helps in saving extra shipping costs. You can also save extra by buying the wholesale custom eyeliner boxes. The cost also depends on the customization, printing and how many colors you need in the designing of your eyeliner packaging. To save more and avail amazing discounts get eyeliner boxes from custom packaging pro as they provide free delivery at your doorsteps. If your packaging is not safe and sturdy, then it is a failure. 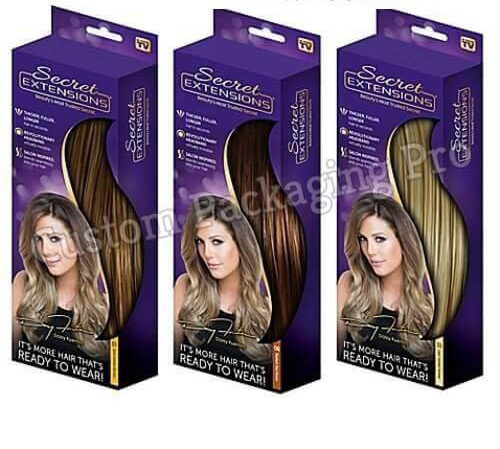 The main aim of the packaging is to provide protection. Choose durable material for the packaging of custom eyeliner cardboard boxes as eyeliner is a delicate item. Moreover, the material should take customization and printing well. Choose a simple print and design for your eyeliner packaging. A complex design will be hard to upgrade if you need changes in the future. There are different printing options available, you can talk to our experts at custom packaging pro to choose the best option. Always make a decision that fits in your budget. Custom eyeliner boxes wholesale provides the needed protection which your cosmetic product need. The eyeliner packaging reduces any risk or failure during the shipping and storing process. Most women carry their eyeliner in their bags thus the cardboard boxes protect the product from leakage and breakage. If your eyeliner comes in a glass container or bottle, it needs extra cushioning and protection. For this purpose, you can go for inner packaging. Use packaging inserts like bubble wraps and paddings to provide structural cushioning. It keeps the product from moving and shaking inside the box. A memorable unboxing experience can also go into a social sharing experience. It can be the unique design or the style of the box or the color mix which can trigger customers to share the packaging on social media. You can also add some ‘Thank You’ or customized notes in the box. It will make their unboxing experience special. You can add extra brush or sample of your new product in the custom eyeliner boxes wholesale as a gift. Unforgettable unboxing experience can turn your customers into a loyal one. They will keep coming back to you to get something special. Get your perfectly designed custom eyeliner boxes wholesale from custom packaging pro. We offer the best quality boxes with unique design and aesthetic appeal. Our boxes are available in every size, shape, and style. We provide the Fastest Turnaround and Free Shipping in the USA. If you need any help regarding eyeliner packaging, call at (281)393-8119 or simply email us at [email protected]. Book your order now to avail amazing discounts.